Where does one start with Deodato? How about here? Where does one start with Deodato? That’s a difficult question, considering that the talented Brazilian is now well into his fifth decade as a boundless musical force. Problem was, by the time his first single (“Also Sprach Zarathustra: Theme From 2001, A Space Odyssey”) made it to #1 on the Billboard Top 100 Pop chart in 1973 – becoming the very first jazzy instrumental song to do so – Eumir Deodato had already put together a resume that would be the envy of any career-seeking musician: Arranging for the likes of Frank Sinatra, Wes Montgomery and Astrud Gilberto, recording several albums under his own name while living in Brazil, even signing future Brazilian superstar Milton Nascimento to his first recording contract (with Creed Taylor’s Verve Records in New York) months before a Brazilian label was able to put together a deal. Too young? If you dated your way through the 1980’s, you probably weren’t aware that it was Deodato who produced and guided The Dazz Band, Con-Funk- Shun and Kool & The Gang to a string of radio and dance floor hits, including ‘Celebration’ and ‘Ladies Night’ (bonus points if you recall his own ‘S.O.S. Fire In The Sky’ from ‘84) plus a string of his own jazz/pop albums with CTI, MCA and Warner. Still too young? How about Björk, Christophe and k.d. lang? 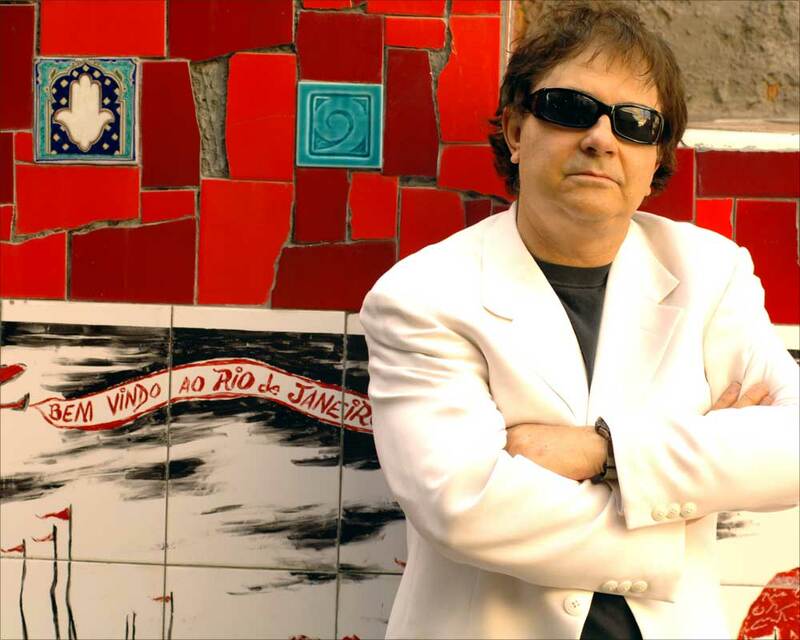 In fact, Deodato has produced more than 450 albums, 15 of which have gone Platinum. He’s sold more than 25 million albums. The answer is apparently, yes. For the release of his latest album ‘The Crossing’ is stirring up all the excitement associated with the name that has produced and arranged winners for Aretha Franklin, Gal Costa, Earth Wind & Fire, Roberta Flack, Michael Franks and dozens and dozens of other chart makers. Deodato has long thought that his music was pigeon-holed early on as jazz, but by his own admission ‘The Crossing’ is his jazziest recording ever – without giving up on the trademark synth-rock pop sound that has uniquely defined his musical space. Here’s an album that captures the same contemporary vibe that’s worked so well for fellow Brazilian compatriots Sergio Mendes (whose ‘Bom Tempo’ is up for another Grammy this year) and Marcos Valle in recent years. But ‘The Crossing’ eschews smartly-turned rap phrases and studio-created street cred for an easy flowing set of English vocals and instrumentals that feature a pretty impressive guest list. Al Jarreau is here on two tracks. “I Want You More” is a soft breezy Bossa duet with the Italian jazz & pop group Novocento featuring vocalist Dora Nicolosi. Jarreau also penned the melody and lyrics for the hit single ‘Double Face’ which opens the album and was recorded early last summer while in the singer was in Germany. Leave it to Deodato to superimpose it over the electric spirit of his own “Super Strut” from nearly four decades earlier. The similarity is uncanny – and it’s sure to bring a smile. The title song is born out of the tight horn-driven groove that’s served up so many pop hits for Deodato, this time with the UK dance group Londonbeat , who also appear on the bluesy “No Getting Over You”. And “Rule My World” with drummer Billy Cobham and Novocento could prove to be a worthy radio follow up to ‘Double Face’. Three instrumentals shine here – warmly wonderful and all classic Deodato: “Borderline” is soulful and smooth, with the melody moving around from keyboard to strings and brass in ensemble fashion, and featuring Brazilian percussionist Airto. “Summertime” gets a richly-layered updating with a full orchestral counterpoint married to Deodato’s flowing funk keyboard lines and “Night Passage” carries trumpet and flute in unison to contrast the ‘drift away’ melody. Both of these tunes pick up on another staple of Deodato’s early sound: Fusion guitarist John Tropea returns with a pair of great solos. All of this isn’t to even remotely suggest that ‘The Crossing’ is just a musical reflection; a reminiscence of past glories as some reviewers have suggested. Yes, Deodato is behind that Fender Rhodes and if you’re of a certain age Tropea’s contributions might make you scramble over to eBay for a decent turntable before pulling your record collection out of the hall closet, but that’s not what this album is about. For the rest of us, I’d say that, given the breadth and depth of his career, I wouldn’t be surprised if there isn’t some of Deodato’s creative work in your music collection already. If not, may I suggest that ‘The Crossing’ wouldn’t be a bad place to start?